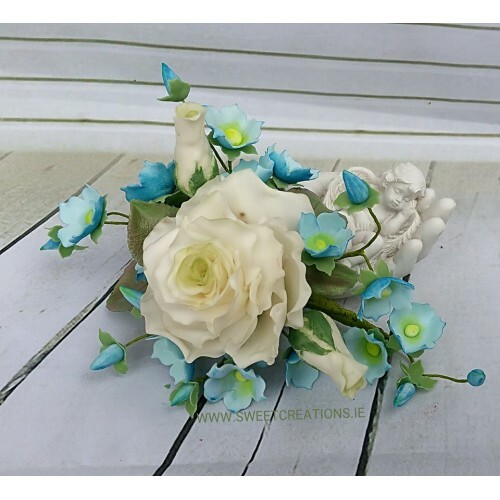 These handmade flowers features a wired ivory rose and filler bluebell style flowers, but can be made in any colour, on request, and is a gorgeous finishing touch to any celebration cake. Each petal is handmade and wired to create this piece, with approximately 60 petals per flower. Please allow approx. 7 days to allow the flower to be made and dried for posting. €45 per spray plus p&p. Please contact me with any special requests.